Twin lever wing corker for corking wine bottles. 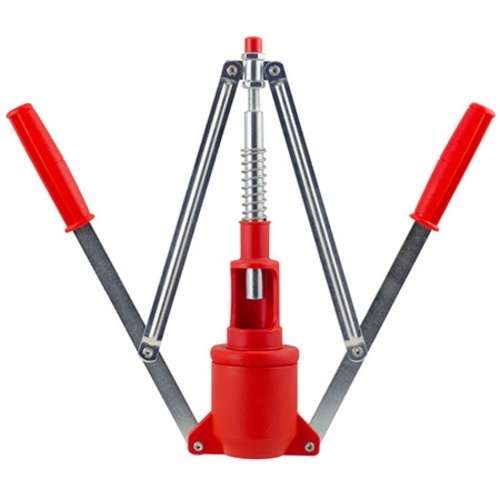 The Easy corker has a unique spring mechanism that grabs the neck of the bottle and holds tight while the cork is inserted. Insert a cork into the plastic window and lower the handles. The depth of the cork can be adjusted by moving the 2 nuts on the top of the threaded shaft.